So far wpadmin has created 27 blog entries. InfiCure Bio will be present at this years EASL in Vienna. Julia will present the NIF mouse and Dan will talk about imaging in livers of NIF mice. If you're at EASL, do not hesitate to contact us to schedule a one-to-one meeting. InfiCure Bio is happy to announce that the our application for Vinnovas grant "Innovationsprojekt i företag" was funded. In this round of applications, InfiCure Bio was the only company in Västerbotten with an approved application. This grant will aid in a faster market introduction of the NIF mouse as a preclinical model for kidney fibrosis. 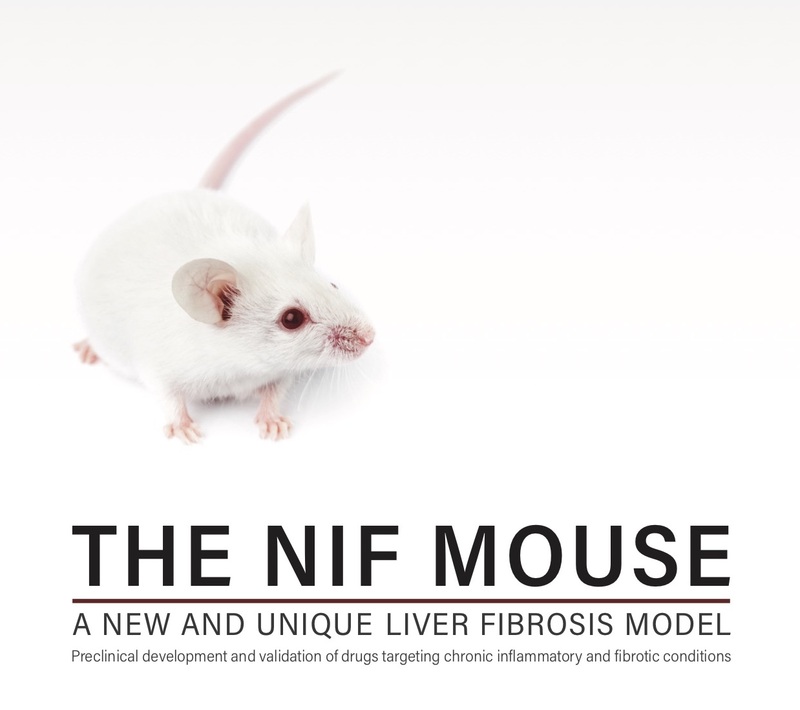 Read our new pamphlet on the NIF mouse as a model for studies of liver fibrosis. 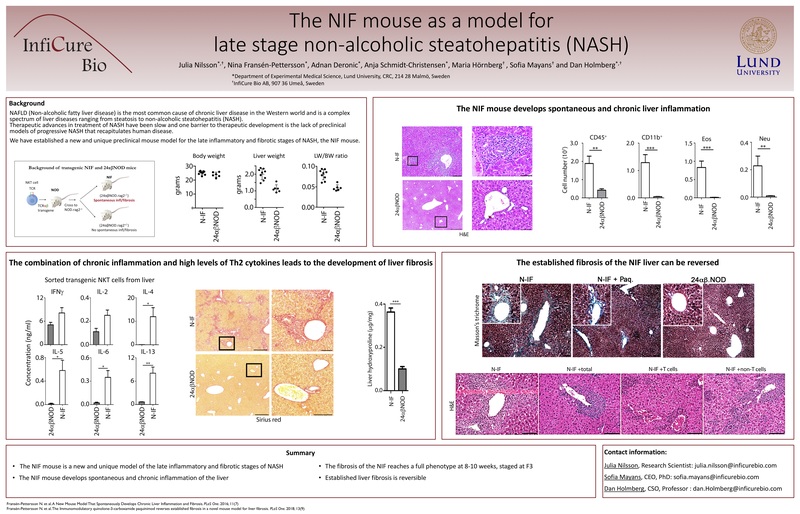 The NIF mouse can be used both as a model for tests of drugs to treat general liver fibrosis, but also as a model for tests of drugs targeting the late inflammatory and/or fibrotic stages of NASH. 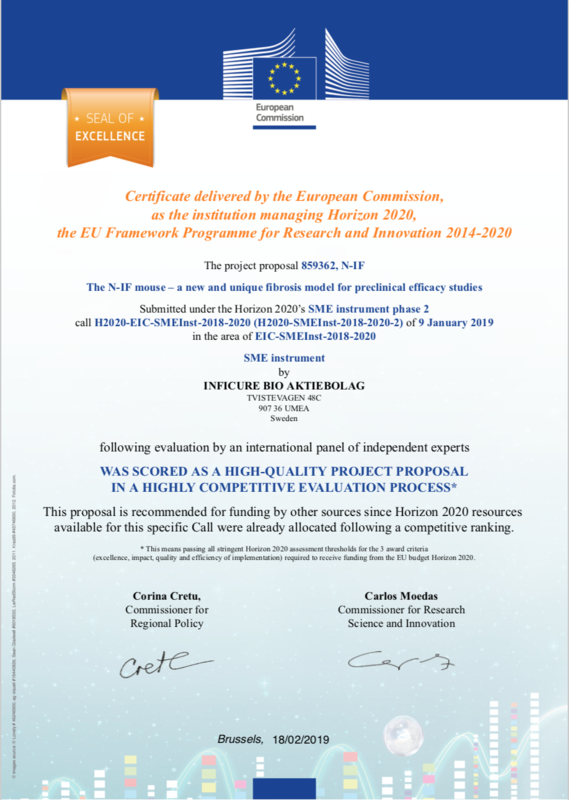 The application to Horizon 2020 SME Instrument Phase II submitted by InfiCure Bio i January 2019 was awarded a seal of excellence. This means that the application passed the score set by EU for grant approval, but the amount of money allocated for the call was not enough. Julia Nilsson, Research Associate at InfiCure Bio, will be presenting at the Keystone Symposium: "Integrated Pathways of Disease in NASH and NAFLD" in Santa Fee January 20-24 2019. 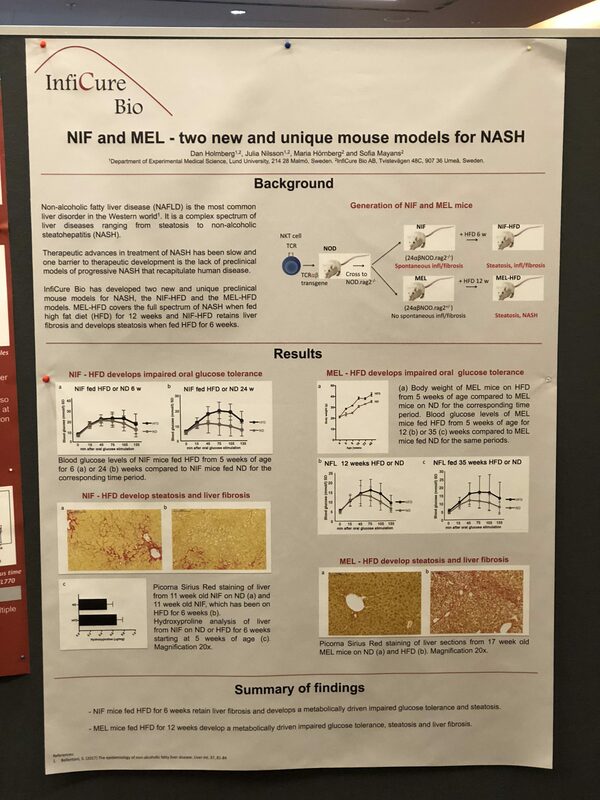 Julia will present new data on the NIF mouse as a model for late inflammatory/fibrotic stage of NASH. 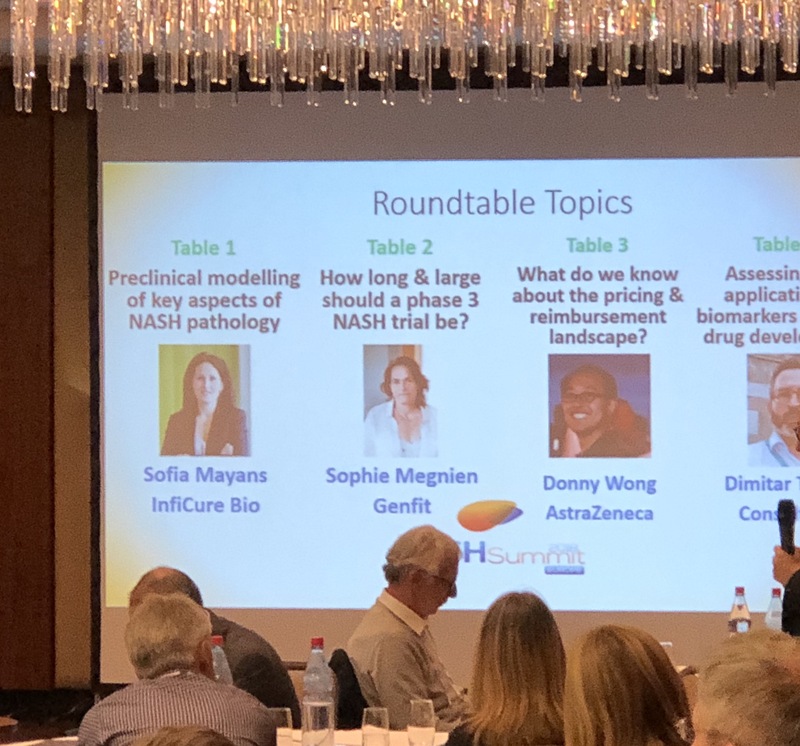 InfiCure Bio is present at the 2nd NASH summit in Europe held in Frankfurt. We are presenting our new models for NASH, the NIF-HFD mouse and the MEL-HFD mouse. 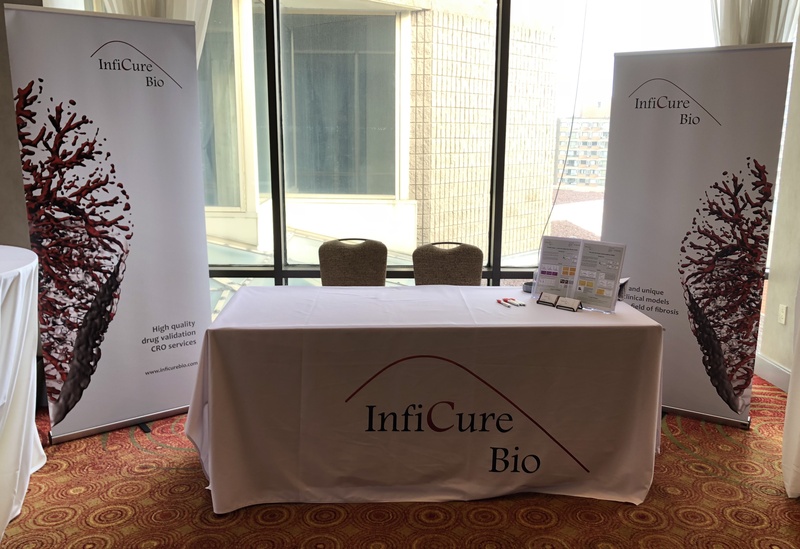 InfiCure did also moderate the round table discussion on preclinical models. We are happy to announce that a new publication on the N-IF mouse is published in Plos One. 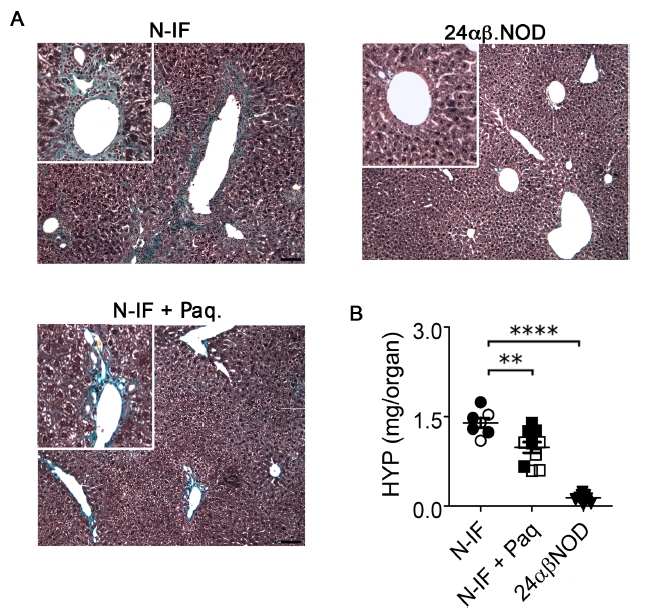 The publication shows treatment of liver fibrosis in the N-IF mouse and the results verify that the fibrosis, which spontaneously develops in the N-IF mouse, is treatable.